Saginaw Bay: Wind has been a factor however when they can get out, perch anglers along the west side did well. 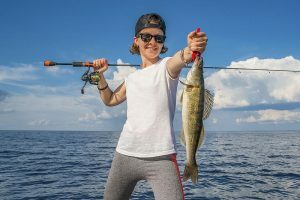 Boat anglers caught perch at several different locations including the area between the Saganing and Pinconning Bars in 12 to 13 feet, at the sailboat Buoy E east of Linwood, in the shipping channel near Buoys 11 & 12, and around Spoils Island. At Quanicassee, the best fishing is until about 10 a.m. in eight to 10 feet straight out from the mouth of the river. Most of the fish ran 7 ½ to 8 ½ inches. Small perch were caught in the river. Perch fishing north of Quanicassee was spotty. 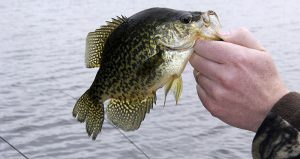 A few panfish were caught in the marina basin at Sebewaing. Bay Port had some bass anglers but Caseville was pretty quiet. For the record, it is still too early to expect to catch many perch in the rivers or cuts. The inland fishing picks up about the first week of November or later if the weather stays warm. Saginaw River: Boat anglers caught perch at the mouth and off Bay Harbor Marina. Au Gres: Perch fishing was pretty good when boats could get out. Most were fishing northeast of the Au Gres River mouth in 32 to 35 feet or going to the Steeples area north of Big Charity Island. Quite a few limit catches were taken in 12 feet off the end of Sagatoo Road when boats could get out. 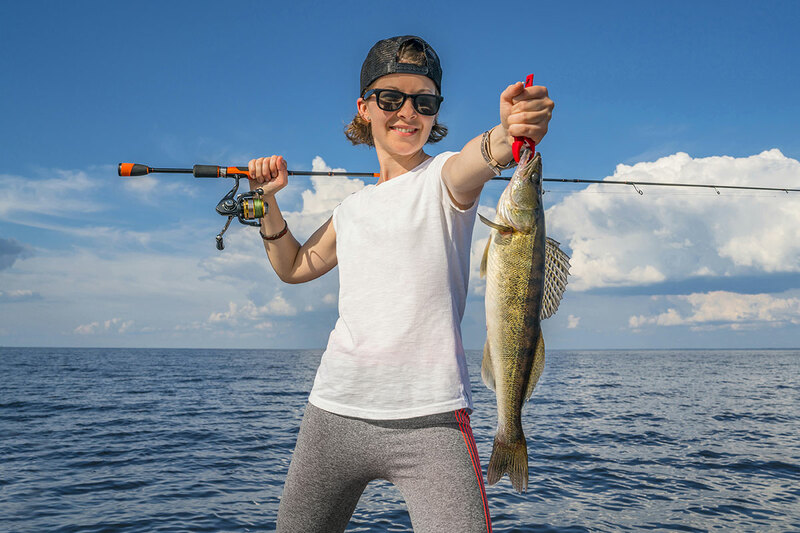 Oscoda: Pier anglers picked up a few walleye in the early morning and evening. 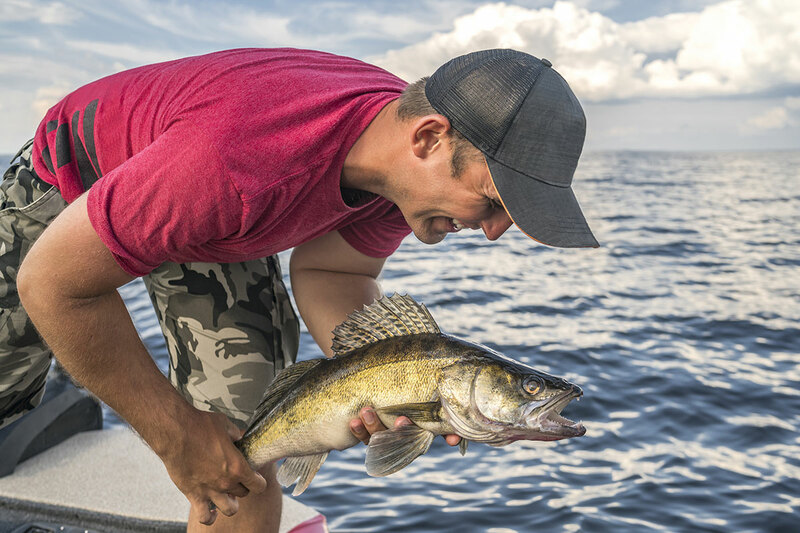 The few boats fishing just off the mouth of the Au Sable River also caught some walleye. The salmon that were in the area last week seemed to be fewer in numbers. Au Sable River: A few salmon were surfacing at the mouth however no anglers were successful in getting them to hit. Tawas: A few walleye were caught off the breakwall at the Tawas State Harbor at night. A couple boats were fishing around the pilings behind the State Police Post. Tawas River: Some salmon remained in the river however no anglers have caught any Chinook. A few walleye and catfish were caught instead. This time of year can bring some of the best results when it comes to fishing for bluegill and/or crappie. Want to target these panfish when you head out in the near future? Check out these tips to guide you. Bluegill: Anywhere within the water column is where you’re likely to find bluegill after turnover has occurred. You’ll have to keep moving as you try to find them as they may be suspended or hanging out at the bottom. Crappie: These fish often stay in deeper water longer than bluegills – and they also tend to move around more as they target large schools of baitfish. 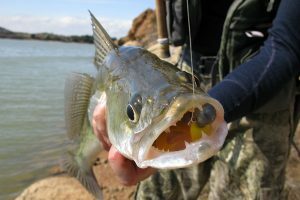 If you use bait that imitates their food of choice you’ll be more likely to find them. Keep in mind both bluegills and crappies will get less and less active as the water cools off and they slow down. You’ll then want to slow your presentation and offer smaller bait to keep seeing success. Try your luck at some great angling this fall. For more information on the numerous opportunities to fish in Michigan, visit Michigan.gov/fishing.